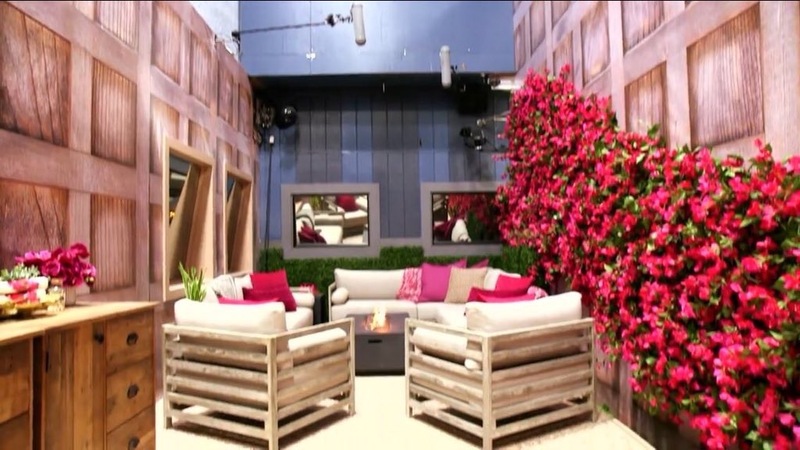 A few weeks ago, we were treated to our first glance at the Big Brother Celebrity Edition house. It had glitz, glamour, and gold. 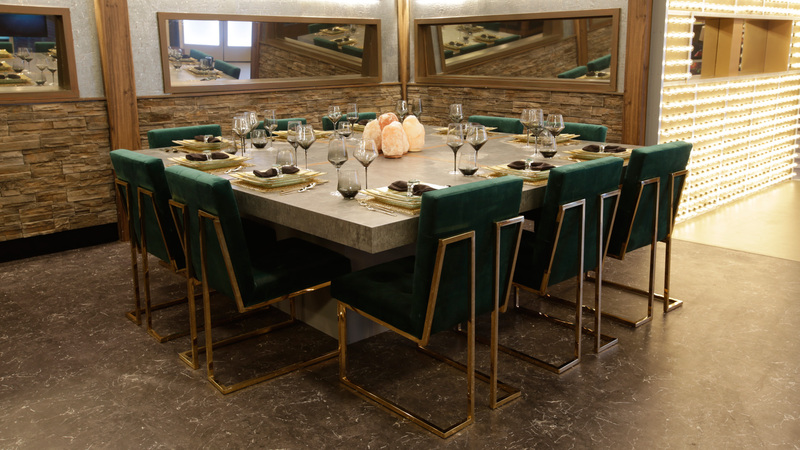 As Celebrity Big Brother inches closer to its premiere (only 6 days away! 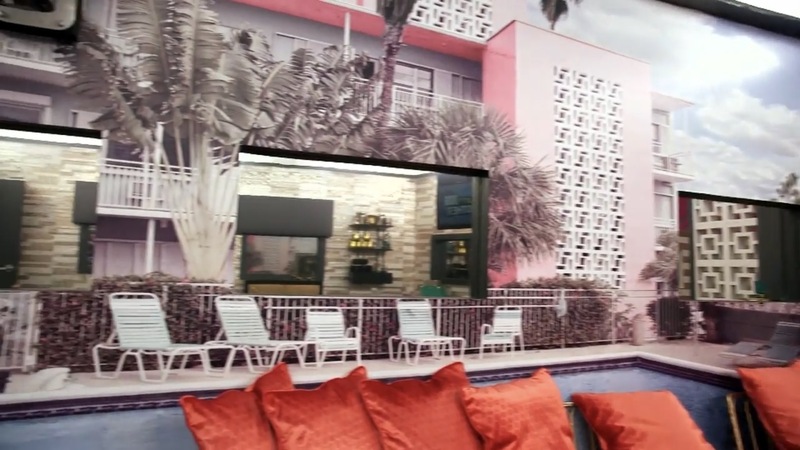 ), CBS treated us to an even better look at the new Big Brother mansion. 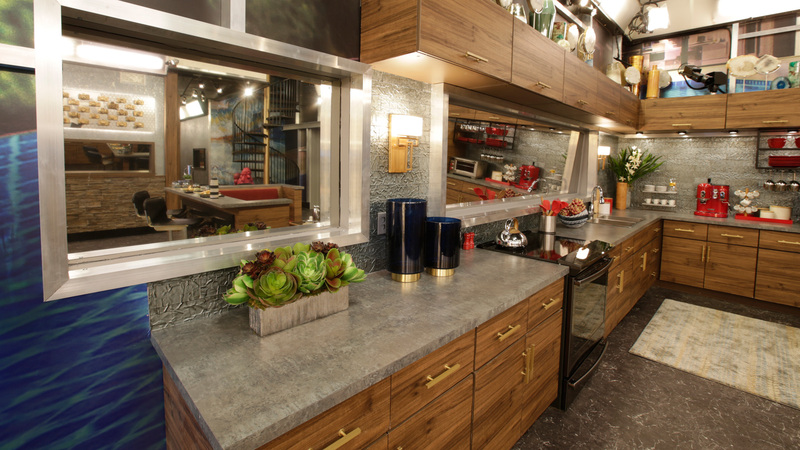 Host Julie Chen walked along the Celebrity Big Brother house to show us each room. First she pointed out that there would be three bedrooms, and enough beds for everyone to have their own. 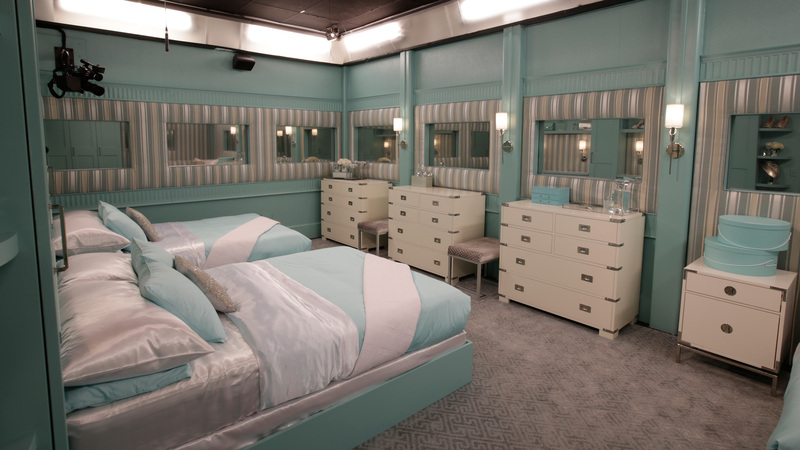 Bedroom 1 is the beautiful, mint Tiffany’s-esque room. In Julie’s tour, we see that besides shoes and handbags, it also has some jewelry in it. This creates a very old Hollywood vibe. 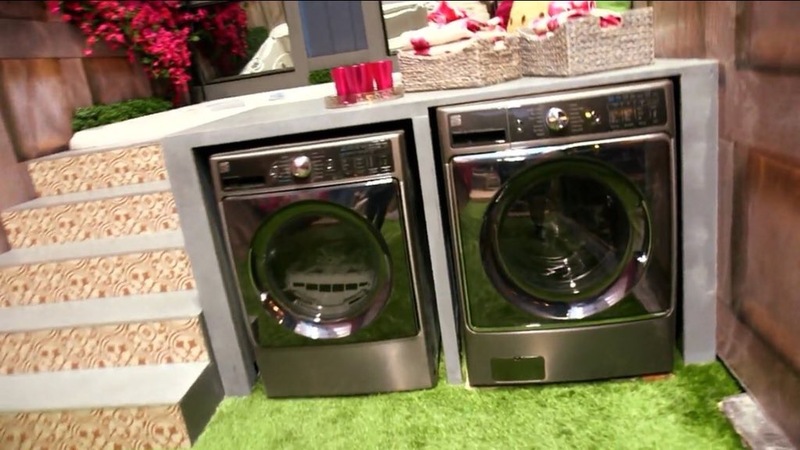 Old Hollywood is one of the major themes for the home. There is a speakeasy room that also has pictures of Hollywood legends on it. In the hallway, there is a 1955 Porsche hanging on the walls. 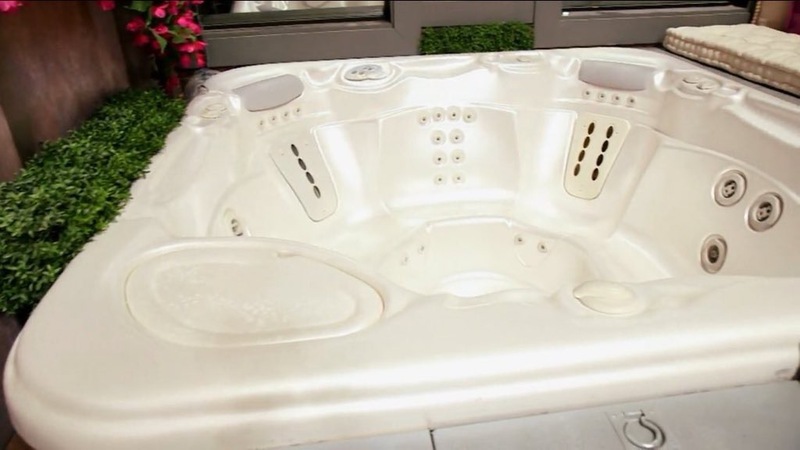 The CBS Big Brother page notes that this is a real car, just missing an engine. After the season, it will go back to the creator, and then get an engine added to make it a functioning car. Room 2 is all about the red carpet treatment. The carpet in the room looks like a red carpet, and the room is black, white, red, with a few gold accents. The black and white is supposed to make you think of a man’s tuxedo. They really went all in on the Hollywood themes. 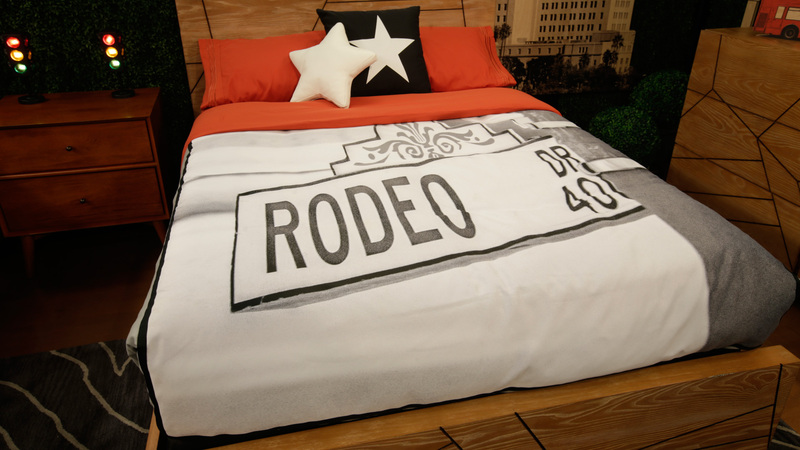 The final room has famous Los Angeles landmarks painted on the walls. The comforters have famous LA streets. 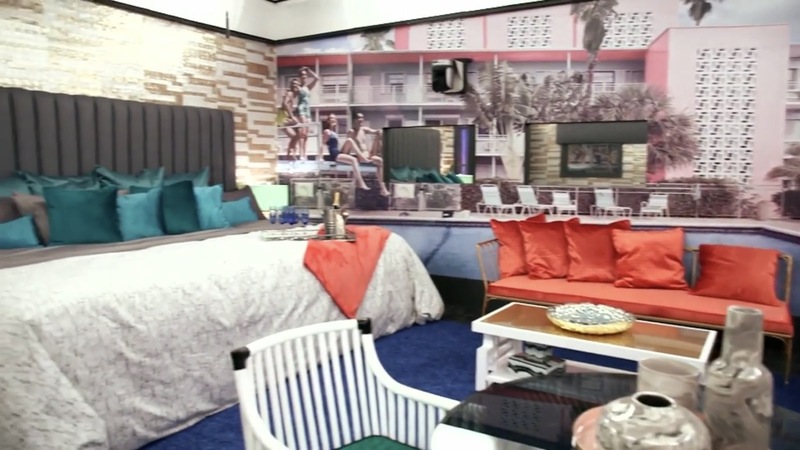 The HOH room is cabana themed, with two queen beds pushed together to make it the biggest bed in Big Brother history, and there are plenty of lounge couches for guest. 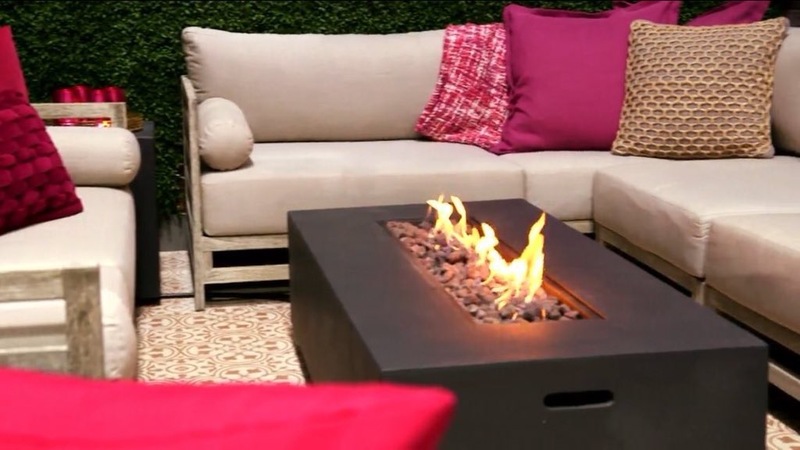 The biggest change to the house is the small additions made. 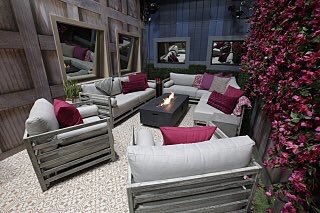 For example, the backyard is a lot smaller, so that the construction crew has enough time to build and unbuild competition stages. 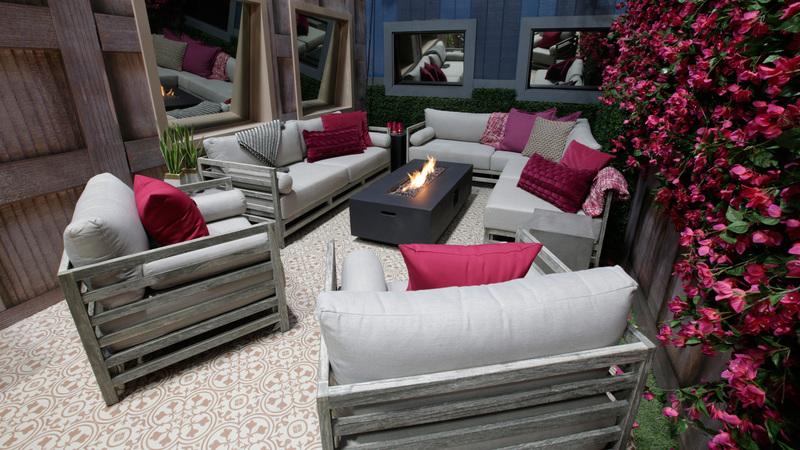 In the small backyard, there is a jacuzzi, a fire pit, and some lounge chairs. Some of the things we’re used to seeing in the backyard have been moved into the house. 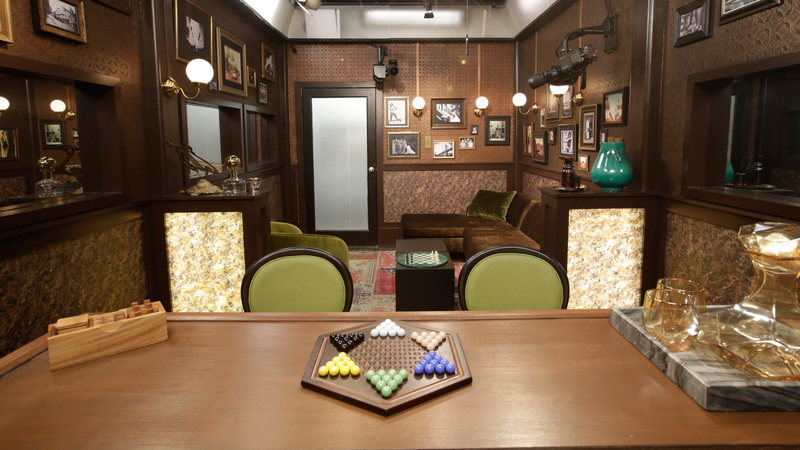 The chessboard has been revamped and moved to the speakeasy along with Chinese checkers, which has been added to the house. The backyard pool table has been moved to the upstairs area where the chessboard used to be. 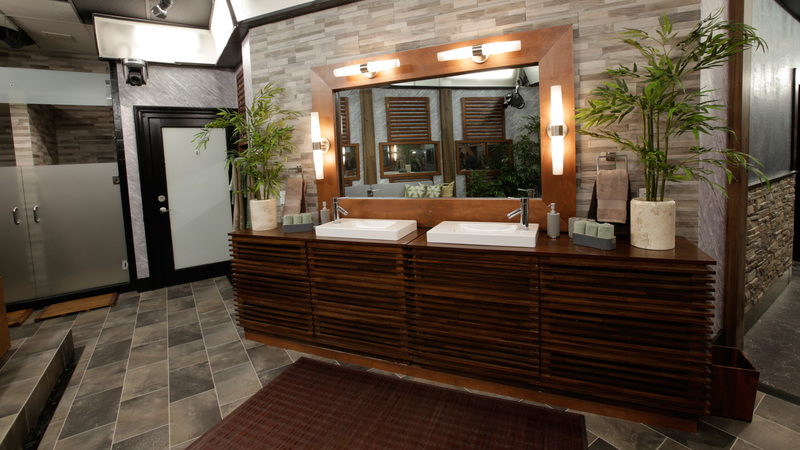 The bathroom looks like a spa, and now there are actually walls dividing the two showers. The Den of Temptations room has become a 24/7 gym, and the kitchen has been fully remodeled. 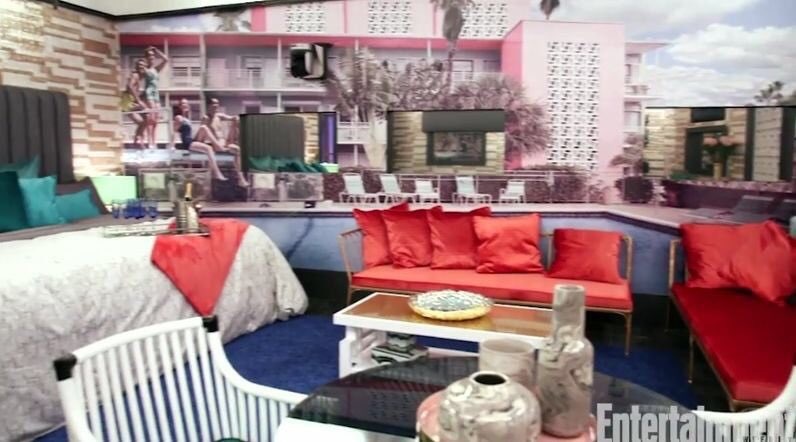 You can get a full view of the new Celebrity Big Brother house above by watching Julie’s official tour video. Then click below to see the gallery. Click the images to get a closer look. 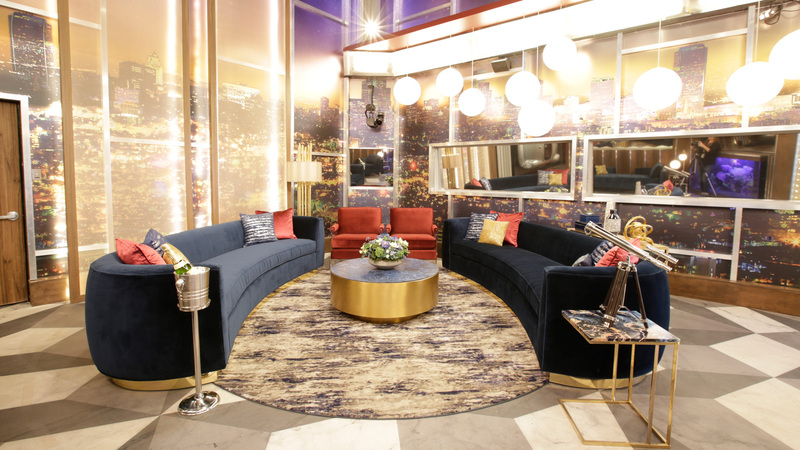 Remember to subscribe to CBS: All Access today to get in on all the crazy Celebrity Big Brother action!